Until a few weeks ago, I didn’t realise that Science Space existed, or that it was so close to home! 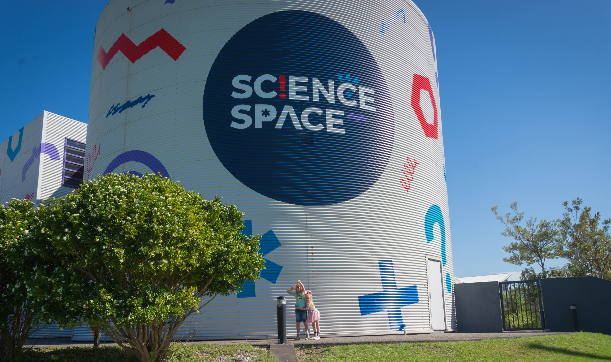 I took the tribe to Wollongong and our first stop was Science Space and I’ve got to say – it was so hard to leave. 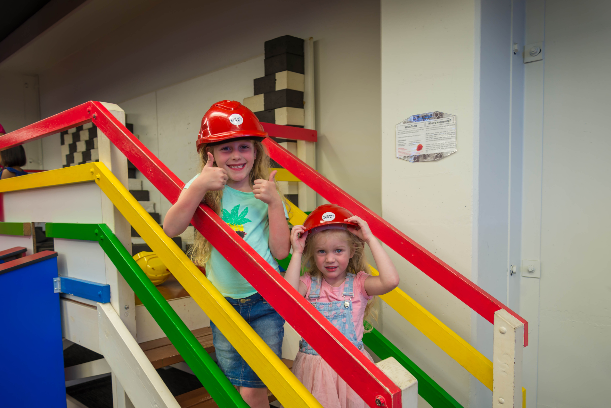 Here’s what the tribe loved plus what’s on offer for the school holidays. 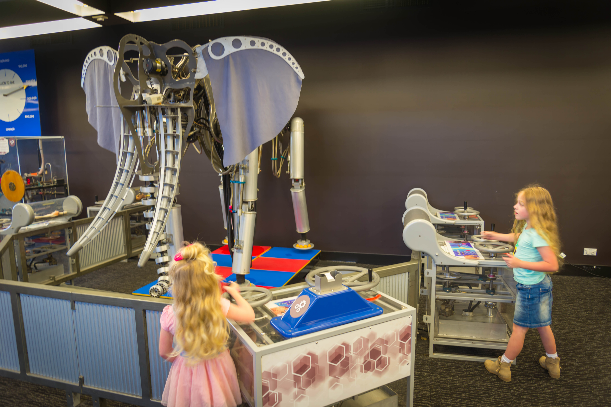 With school holidays coming up Science Space is geared up for entertaining the tribe! They’re offering discounted family memberships so the tribe can visit Science Space as many times as you like during the year! See here to take advantage of the school holidays deal. Science Space is full of fun and engaging activities to help kids understand science and the world we live in. 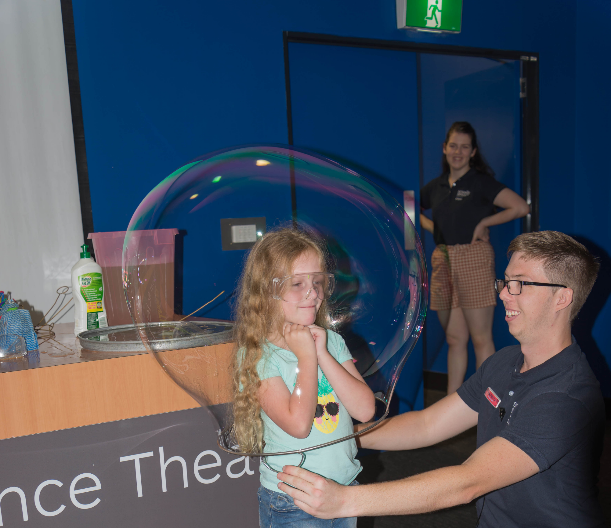 If you purchase an Ultimate Pass to Science Space, you can enjoy the exhibition space with all of its amazing contraptions, take in a show in the Planetarium and also go to the Bubbles and Balloons show. The tribe were torn between the Planetarium and the Bubbles and Balloons show, but we ended up going to this one first and it did not disappoint! They learned lots about the shape of bubbles, the ingredients used to make bubbles and the tools you need too. 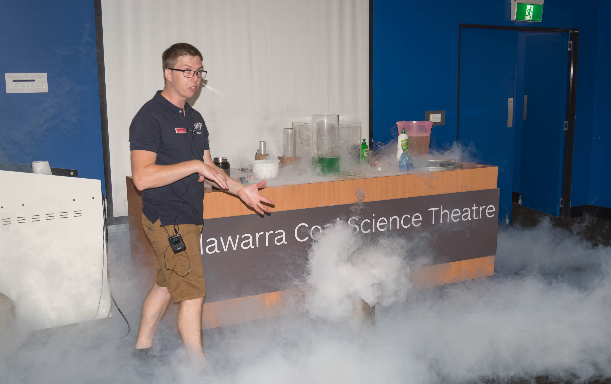 They even learned what happens when you mix liquid nitrogen with bubble mix (here’s a hint – it’s AWESOME!). The Planetarium was amazing and we all came out of there with more knowledge about the stars in the night sky as well as the planets and space. 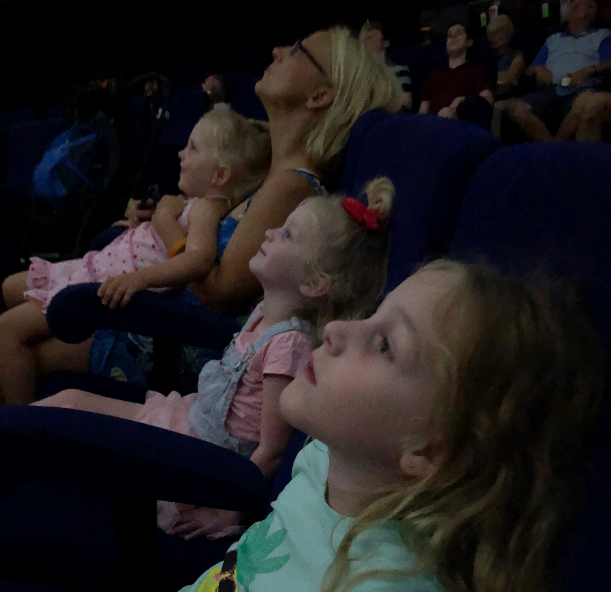 We lay back in reclined chairs in the Planetarium theatre and enjoyed the dome shaped roof turning into a theatre screen where we could watch a family of aliens deciding which planet they should take a holiday on. It was a fun and simple way of teaching the kids (and the grown ups) what the difference between all of the planets in our solar system is. 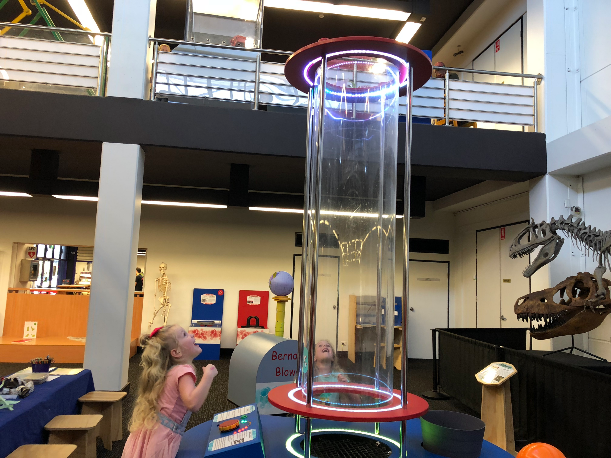 There were tonnes of exhibits to explore in Science Space with over two levels of scientific fun to be had. Some of our favourites were the air machine which made everything from paper chain snakes to little parachute men fly high up into the air. 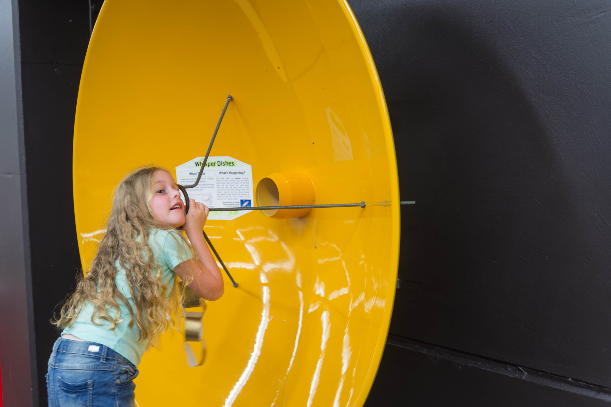 There was also two enormous discs on either side of the room which magically (or scientifically) allowed one of the kids to whisper a secret into one and the child on the other side could hear it. They also loved the dinosaurs exhibit, a huge mechanical elephant they could make move by winding levers nearby and a hands on multi level building site complete with hard hats, foam bricks, wheelbarrows and conveyor belts. This is a sponsored story for Famly. Want more school holiday inspiration? We’ve got you covered.